This shortlist summarises the best Vienna Balls 2019 and lets you know about tickets, online ordering and dress codes for each event. 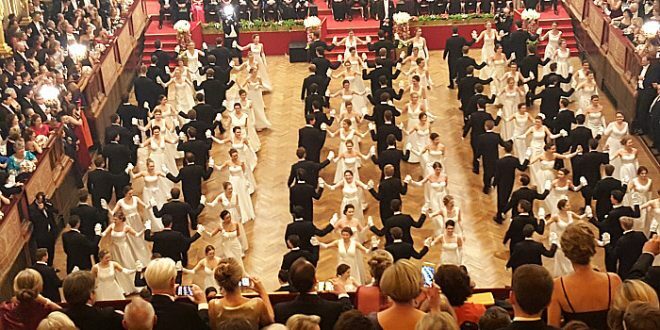 Each year, Vienna hosts more than 400 balls: High profile traditional events with elegant dress codes next to modern balls such as the Life Ball and dance events of the local firebrigade. I have pulled together 10 of the best traditional Vienna Balls to help you make an informed choice, sort out dates and required dress codes, and book your tickets. Best Vienna Balls. Imagine dancing past thousands of Viennese cakes among hundreds of elegantly dressed locals in Vienna’s Imperial Palace. Join the sweet raffles, competitions and a showcase baking station to venture far beyond Sacher Torte. Each year, the local trade organisation of Vienna’s Food Industry rallies its hundreds of confectioners’ and bakeries for the annual cake galore at the industry’s Confectioners’ Ball. Best Vienna Balls. Number one of the best Vienna balls in the classical category for many locals. The setting of this ball by the Vienna Philharmonics is brilliant, not to speak of the home-made Philharmonic music, and people dress their best. You will dance in the Golden Hall, famous location of the New Year’s Concert. Best Vienna Balls. The ‘Ball Der Industrie und Technik’, aka ‘Techniker Cercle’, is a highly popular ball amongst urban professionals, and not only those with technical professions. It is run by the eponymous networking and fundraising association related to the Vienna Technical University. This is another great chance to waltz through the Golden Hall of the Vienna New Year’s Concert at Musikverein – the video below shows the débutants’ opening quadrille. Tickets: EUR 170 (based on 2018 prices) Table bookings: in writing only; to Techniker Cercle, Ball Bureau, Reitschulgasse 2; A-1010 Vienna; Ticket sales start one to two weeks before the ball and are limited in time: email ball@techniker-cercle.at; or call +43 1 533 90 61. Dress code: Ladies – floor length evening dress; Gentlemen – tail coat. Best Vienna Balls. Joining the Kaffeesiederball it the best way by far to enjoy the Imperial Palace. The ball usually has lovely ballet performances. When I joined the ball in 2014 there was also a fantastic modern performance – a great contrast to the traditionally dressed audience. Find out more in my Vienna ball review. Tickets: from EUR 150; you can buy tickets online here (form in German only). 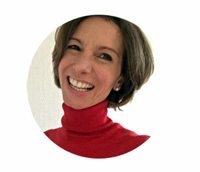 Tables can only be booked at the ball office but you can email a booking request to Ms Rosemarie Bauer at klub@kaffeesieder.at; There is a EUR 24 international booking fee. Dress code: Ladies: ball gown or long evening gown; Gentlemen: tuxedo, tailcoat or uniform; NO tie. Best Vienna Balls. 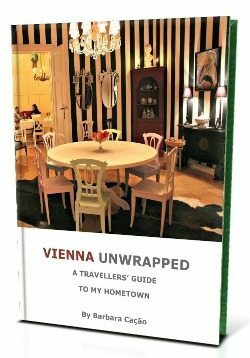 Vienna’s most famous ball is a fix point in the calendar of the international and Viennese socialites. For one night every year, the Vienna State Opera’s stalls are transformed into Europe’s most glamorous dance floor for hundreds of debutants and thousands of hungry ball aficionados and lounge lizards. Learn more about the Vienna Opera Ball and how to get tickets, even when sold out. Best Vienna Balls. My personal winner in the category food is the Bonbon Ball. That evening, all of Vienna´s cakes and sweets gather under one roof, swamping guests with a combined weight of around three tonnes. Many of them are available at the many bars or can be won as raffle prizes. The opening ceremony includes a wonderful ballet performance. Like every grand ball the Bonbon Ball is busy. You will be absolutely fine with basic dance steps! The evening’s highlight is the election of the annual Miss Bonbon. To change dance steps, use the fun modern discotheque downstairs. Dress code: Ladies: long evening gown with mask; pantsuits, cocktail dress, traditional costume etc. are NOT PERMITTED. Gentlemen: black tailcoat with white bow tie; tuxedo with black bow tie; NOT PERMITTED are ties, neckties and cravats; kilts, cut, coloured tails or jackets, historical uniforms or fancy dress; masks for men. Best Vienna Balls. The Life Ball is Europe’s most extravagant and high profile ball, visited by international stars from fashion to politics, organized by AIDS LIFE. I was there with a group of friends a couple of years ago, and had the time of my life. You will probably never experience a more sparkling yet super stylish event than this ball. Recent year’s themes 1001 Nights and ‘Beauty and Abyss’ (Vienna 1900). Learn more about the Life Ball, why I think it’s one of the best Vienna balls, and how to get tickets. Best Vienna Balls. When the Austrian Press Club Concordia hosts its annual summer ball in the sumptuous Vienna City Hall local celebrities and genuine ball fans attend. Each year, the ball has a dance theme, such as Una Notte Italiana’ for this year. However, this doesn’t mean that you won’t get the chance to thoroughly waltz at the ball. Get your most elegant floor-long evening dress and tail coat and whizz across the grand hall or dance in the City Hall’s open air arcaded court yard. The midnight Fledermaus-Quadrille (Johann Strauss) is big fun. Tickets: EUR 95; students until 26 years pay EUR 40 (2018 prices); Book your tickets online. Dress code: Ladies: Full length evening gown; Gentlemen: tuxedo, tail coat, dinner jacket. Best Vienna Balls. 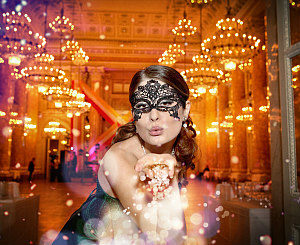 Finally, the traditional New Year’s Eve ball at the Imperial Palace (Hofburg) gets an update in style and taste. Replacing the slightly kitsch Kaiserball, visited every year by hundreds of tourists, Hofburg Silvesterball has ditched Habsburg folklore for Vienna classics and jazz, followed by a gala diner. You can safely count it in as one of the best Vienna balls now. Bookings: Book your tickets here. The balls in my list deliver wonderful backdrops for classical ballroom dancing. You don’t need to be a super brilliant dancer to join the best Vienna balls, though. Most of these balls are so packed that basic dancing skills will be absolutely fine. The key dance there is the waltz. To brush up on your waltz skills, you can book a Vienna Waltz lesson for couples at one of Vienna’s best dancing schools just before the ball.